Join us as both Dr. Landsverk and Dr. Dhanak participate in a panel discussion with another geriatrician in Santa Rosa, discussing the issues and challenges of treating geriatric patients. What works, what are common questions, what are the most important issues for elders and their families to help live the best life possible- physically, emotionally and spiritually? Presentation primarily for elder care professionals. 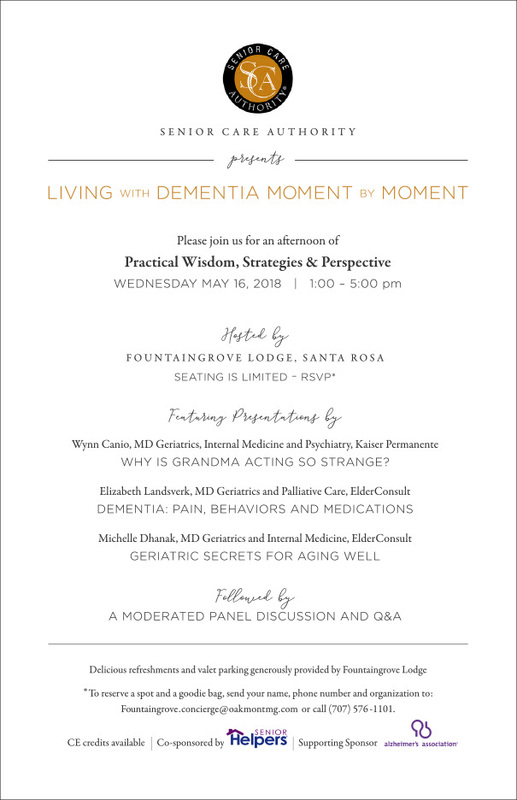 *To reserve a spot and a goodie bag, send your name, phone number and organization to: fountaingrove.concierge@oakmontmg.com or call (707) 576-1101.